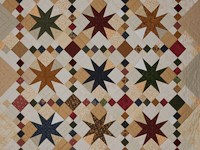 Enjoy looking at the new Stepping Thru the Stars Throw size quilt. 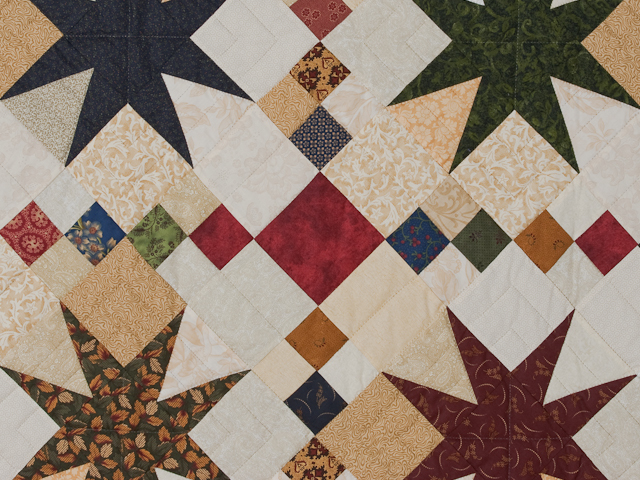 This will keep you cozy and comfy while fitting into the the country gal's decor. 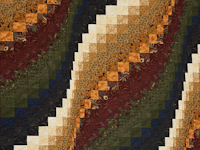 Lovely pattern that has a unique setting and combines the popular county colors of navy, green, burg, and golds. 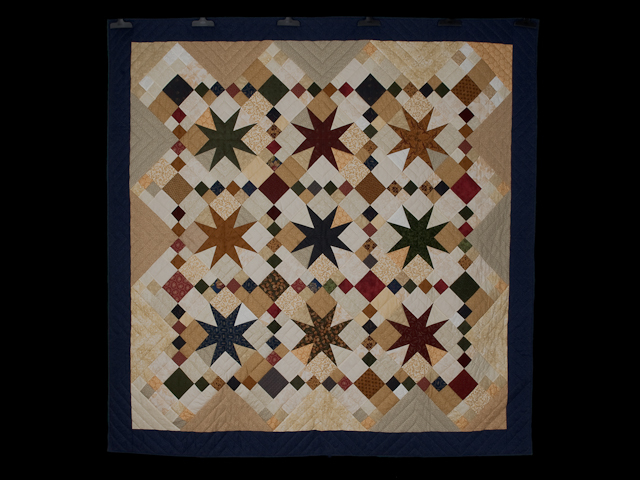 The navy border sets the stars off and makes them want to twinkle. 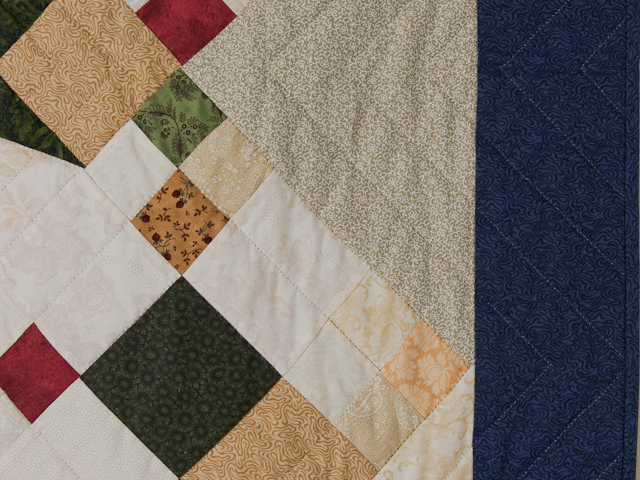 Just kidding - but isn't it an interesting quilt to throw on your reading sofa for some warmth. 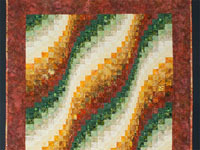 It is 100% cotton prints and has a beautiful Moda country backing with tan and burg print. 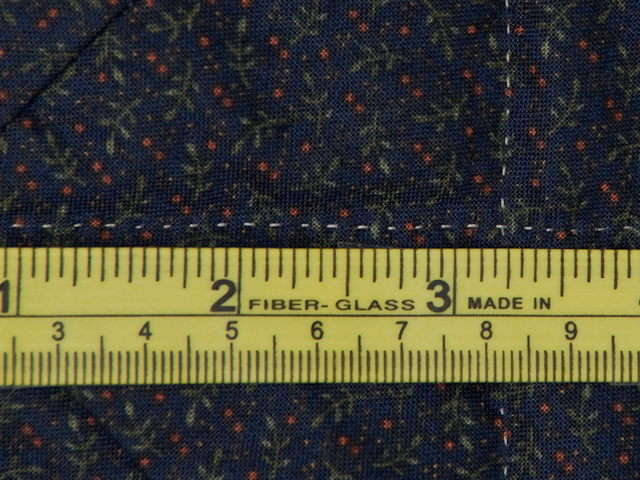 See the label and fabric backing on the photo of the label corner. 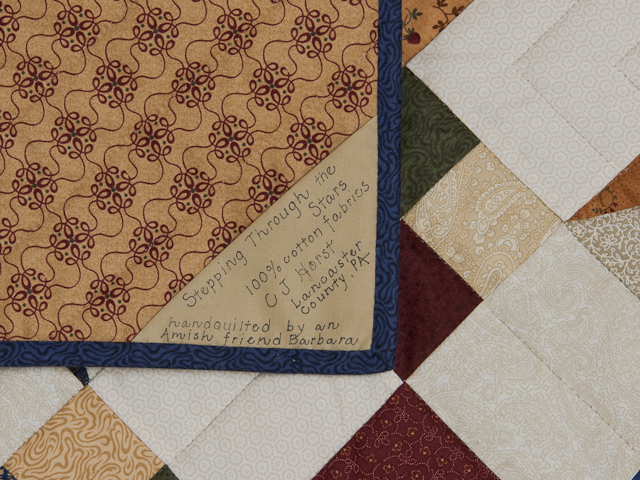 This little quilt is hand quilted by our Amish friend, Barbara. 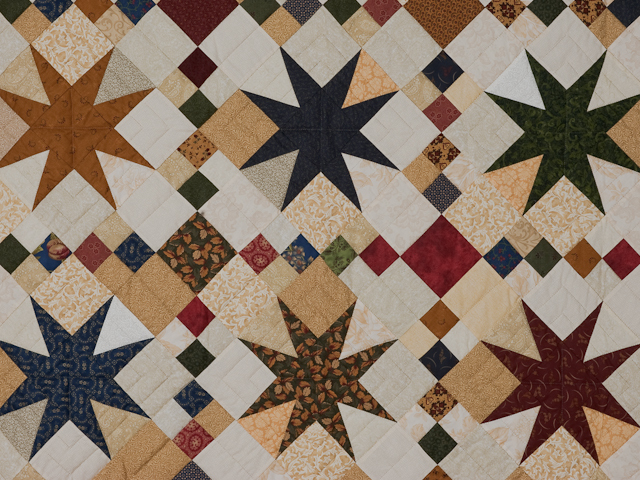 It is pieced and hand quilted with 8 stitches per inch. Lovely accent for your reading room. 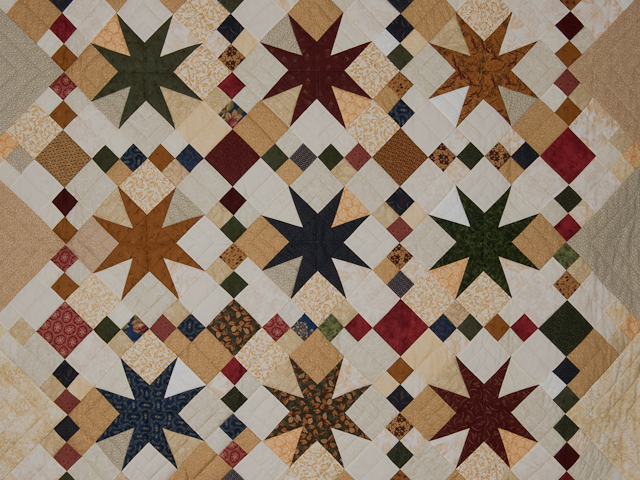 Made by C J Horst, Lancaster County, Pa - Quilt Capital of the world.